This post may contain affiliate links which won’t change your price but will share some commission. See our Disclosure Polilcy. 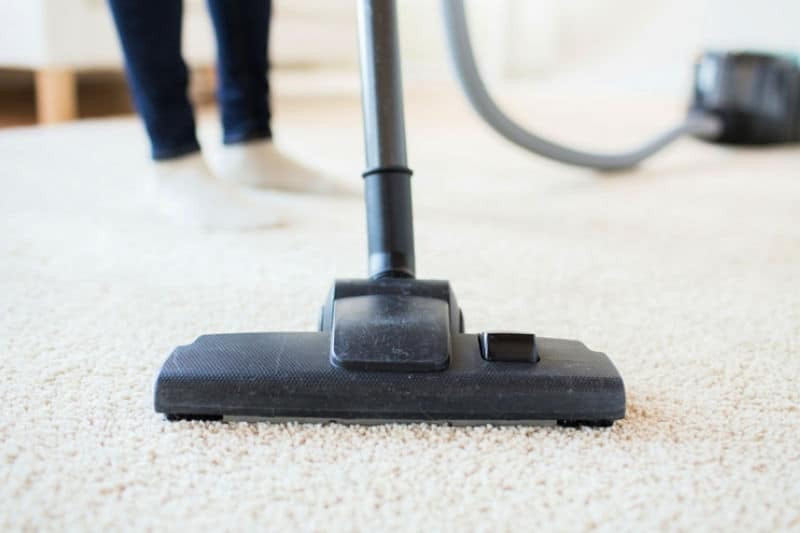 Knowing how to keep carpets clean helps reduce dust and makes your home look cleaner all the time. New flooring is expensive, and the tear-out plus installation process leads to absolute chaos. Even if you decide to replace your stained, worn-out flooring, you still need to know how to keep carpets clean, or you’ll have wasted your money. 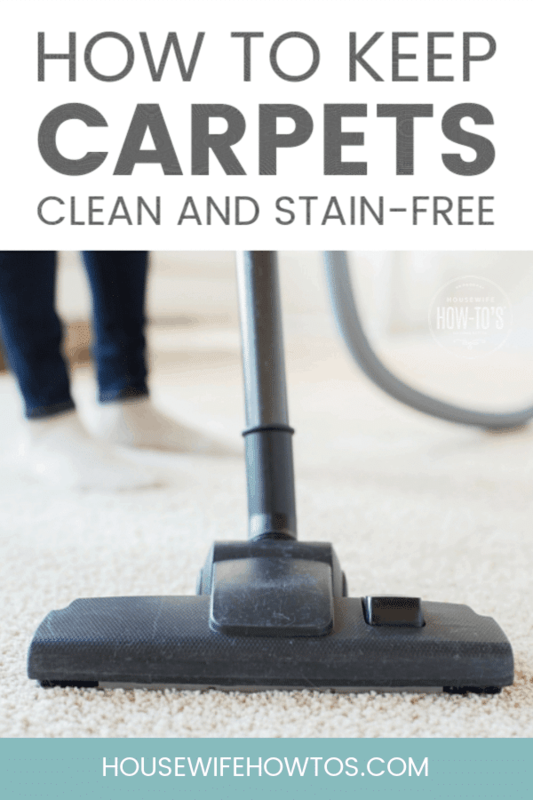 So, follow these steps to protect your carpets from stains, grime, and dirt instead — especially if you have kids or pets. Many people feel uncomfortable asking visitors to remove their shoes at the door, but it’s becoming a more commonly accepted practice. In some regions, you don’t even have to ask: it’s common courtesy because everyone knows it helps keep carpets clean. One way to avoid awkwardness is by providing a bucket of clean house slippers for guests to wear. You can also explain that shoes track in dirt, germs, toxins and harmful bacteria which they rind into our carpets. Becoming a shoe-free home protects your family from these things and reduces the wear and tear on your carpet’s fibers. The longer carpet stains are left untreated, the more difficult they are to get out. Over time, stains can become permanent, so it’s essential to clean them quickly. On treated carpets, immediately blotting stains with a clean, dry towel will lift the majority of the mess. Follow with a rag dipped in warm, soapy water and press — not rub — to lift out the rest of the spot, then press another dry cloth to absorb moisture. 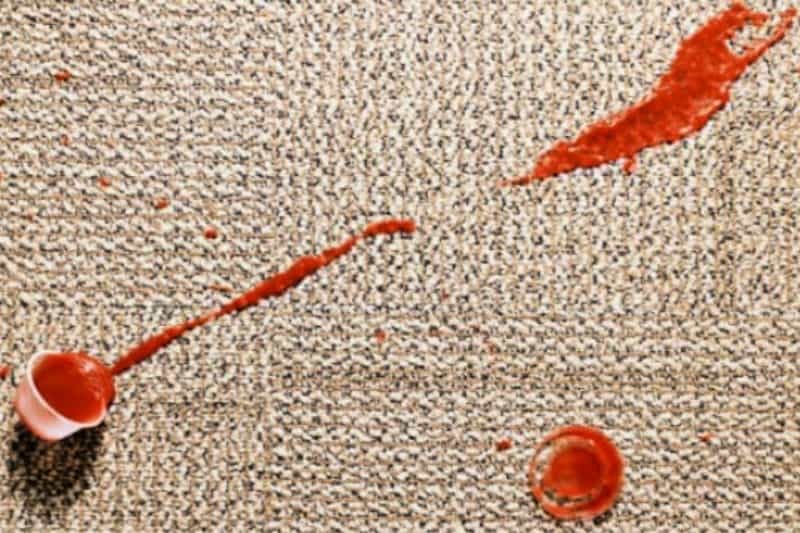 If the stain persists, try these specific methods to clean carpet stains. 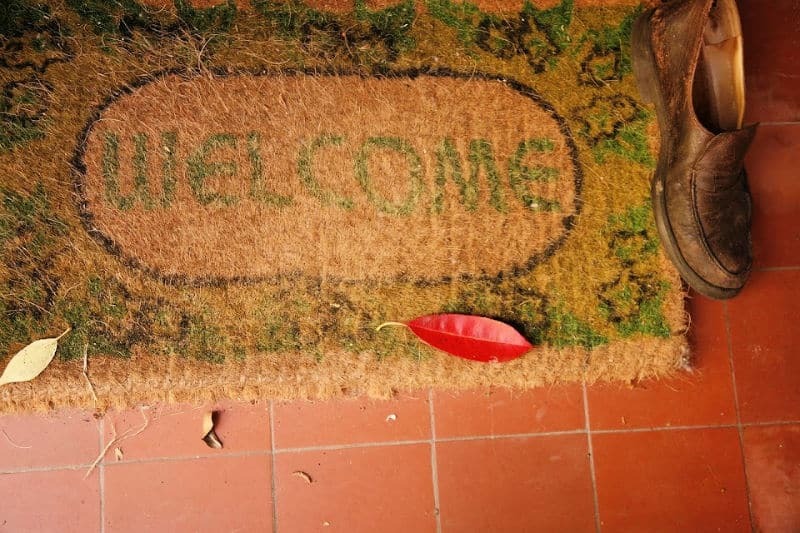 Mats placed on both sides of exterior doors give people and pets a place to wipe their feet and help keep carpets clean. These mats will also catch the majority of loose debris tracked in on shoes (though not the bacteria and pesticides). Vacuum, sweep, or shake out your mats every couple of days, so they don’t collect dirt. Set them outside on a rainy day or hose them down every couple of weeks, too. 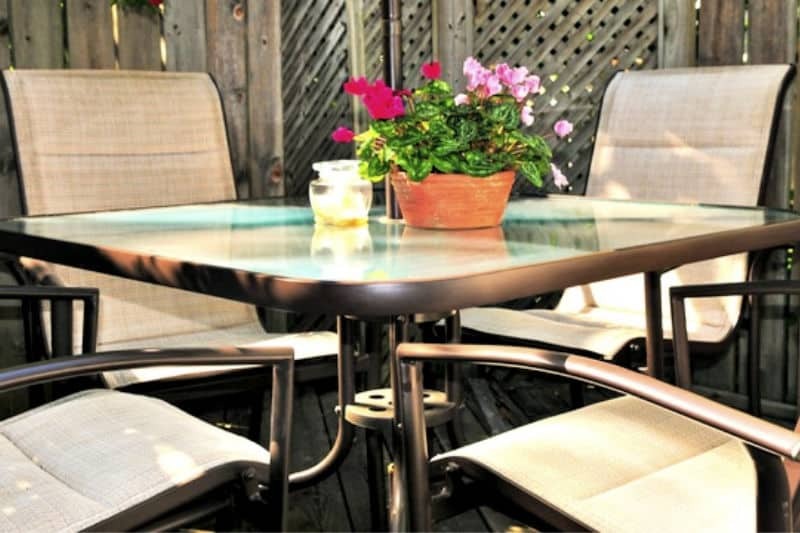 When throwing a cookout, pool party, or just a play date for the kids, focus the fun on your outdoor spaces to keep people from tromping all over your home. A sign by the back door directing guests to your closest bathroom helps, and so does keeping coolers on the patio or deck stocked with drinks and snacks. You’ll still get to enjoy entertaining, but you won’t have to worry about keeping carpets clean. Vacuum wall-to-wall at least once a week and more often in high-traffic areas to keep carpets clean. It’s important to use the crevice attachment around the base of walls and furniture, too, since dust and pet hair often collect there. Even daily vacuuming won’t get the deep-down grit and dirt out of your carpets if you aren’t doing it the right way. So, learn to vacuum properly, and keep your vacuum clean to ensure it’s working well. 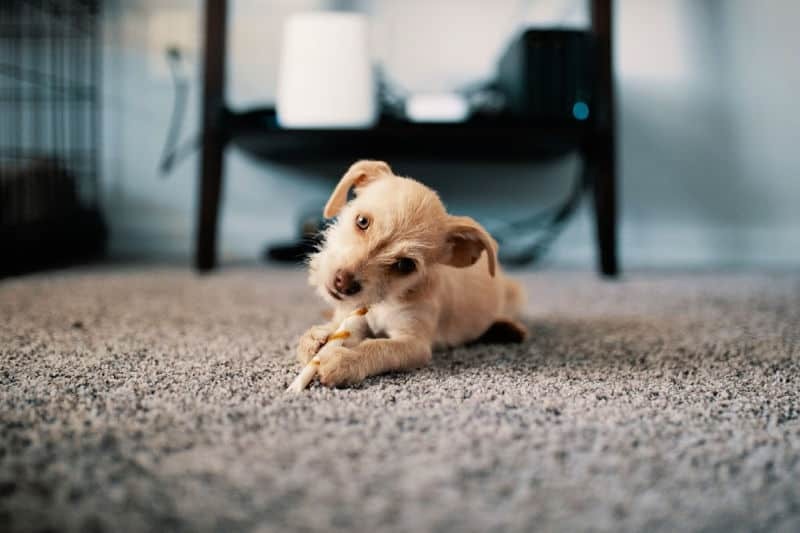 Even house-trained dogs and litter box-trained cats have accidents, so inspect your carpets often for accidents and treat pet stains quickly when you find them. 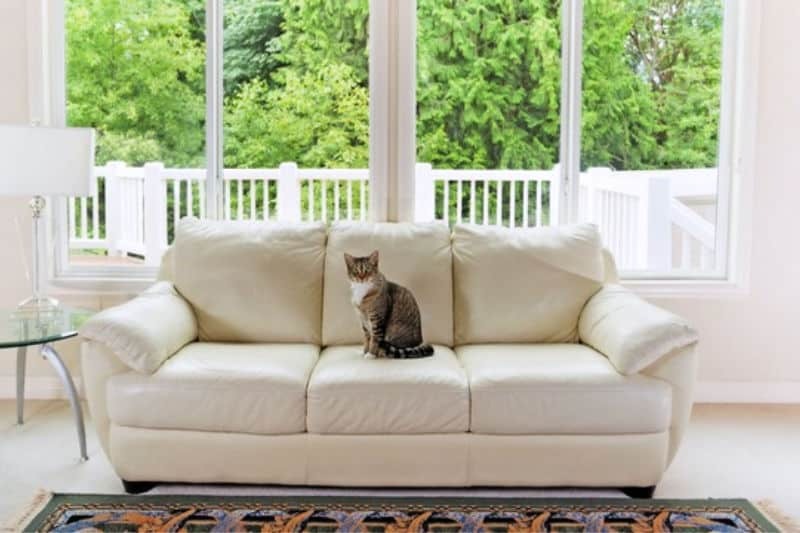 Frequently brushing your pet will also help keep carpets clean, since you’ll reduce shedding. That hair that clings to carpet fibers like crazy! My dog and cats love these grooming gloves that remove excess hair — they’re easy to use and do a fantastic job. And don’t forget the squeegee trick to remove pet hair from carpets that even your vacuum cleaner might miss.